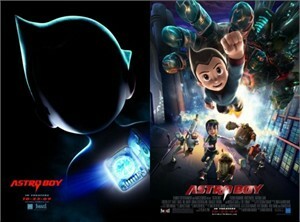 SET OF TWO DIFFERENT Astro Boy 11 1/2 by 17 inch promo mini movie posters (one advance, one regular). BOTH HAVE VERY MINOR FLAWS OR WEAR. ONLY A FEW SETS LEFT.